Manny Rivera, co-owner of Hard Hitting Promotions, was walking the main room of the 2300 Arena in a checked suit that would have fit the scene back when A.J. Liebling sat up in the cheap seats and did his thing. And as Rivera moved around and spoke to people he beamed with confidence and positive vibes. He’s one of those guys who, when he shakes your hand, the rest of the world goes dim. But when Manny moved on, his pace was quick, his strides were long, and you could sense the nervous energy inside struggling to get out. He had reason for nerves and for pride. The show was his show, the night his night. The main events would be broadcast to the country on Showtime. And the arena was sold out. 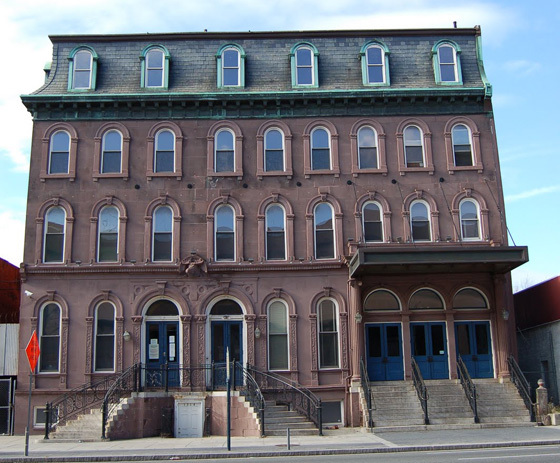 Local Philly boxing used to be about the classic Blue Horizon, a beautiful hall dating all the way back to 1865 and so steeped in boxing history that the aura of fighters past seemed to stick to the walls. 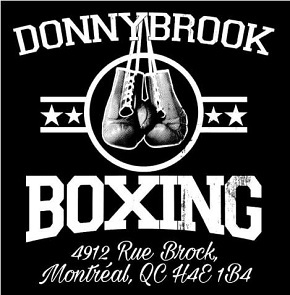 We’re talking legends, real warriors like George Benton, Curtis Cokes, Harold Johnson, Matthew Saad Muhammad, Bennie Briscoe and Bobby “Boogaloo” Watts. Ring Magazine once hailed the historic structure as the greatest boxing venue on the planet, and Sports Illustrated dubbed it “the last great boxing venue” in America. In 2013 development plans called for the historic building to be demolished to make way for a parking garage, but at present it still stands, its future uncertain. 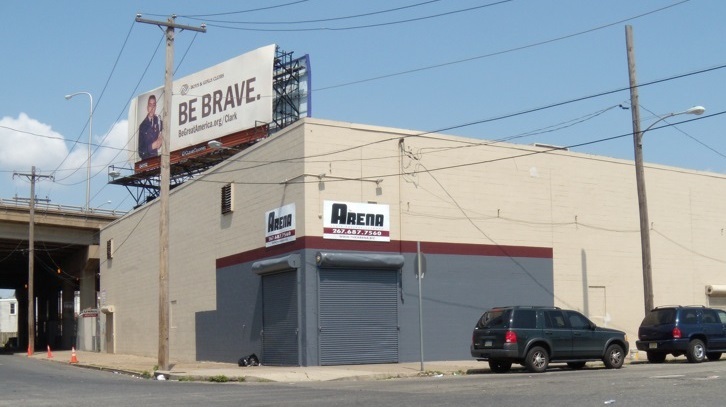 We can hope for a happy ending, and someday maybe even a glorious return of professional prizefighting to the Blue Horizon, but in the meantime most of the serious local fights happen at the 2300 Arena (formerly the Asylum Arena and the Viking Hall, among other incarnations) in South Philadelphia. Nestled in among row homes and freeway off-ramps, the revamped venue was originally a freight warehouse, as evidenced by the cinder block walls only partially concealed now by black drapes. No matter. In Philly, the boxing community brings its own atmosphere, starting with characters like Manny Rivera, who no doubt knew as he traversed the arena shaking countless hands that the fans were counting on him for plenty of slam-bang action, and his fighters were counting on him for match-ups in which they could show off their skills to both local fights fans and the rest of the country. And as I took my seat at the end of press row just as the opening bell for the first match rang, it took only moments for everyone to get what they came for. The more modest 2300 Arena. 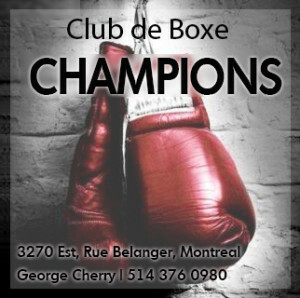 High-speed action signaled the start of the show as cruiserweight David Stevens, in his pro debut, clobbered Judd Brown with flurries of hooks until the referee had no choice but to end it. The massacre lasted barely two-and-a-half minutes and in that time all one could hear in the arena was the slapping of leather on flesh as Brown had no defense for the blistering combinations of young Stevens. Manny’s show was off to a rousing start, even if most of the fans had yet to find their seats. Next, Benjamin “The Jewish Bulldog” Sinakin swarmed Darren Gibbs for another fast, opening frame knockout. Sinakin was the first local fighter of the night, and the growing crowd showed how and why it will bring that unique “Philly” atmosphere no matter where in “The Athens of America” the squared circle is located. From the start of the ring walks there were shouts of “Benny!” from different corners of the room, and even an Israeli flag waved high in support. Only two years ago, Sinakin weighed 280 pounds, but being only 5’11” he knew he couldn’t stand in there with the heavyweights, so he dropped a hundred pounds to compete at light heavyweight. As of Friday night, he has a 2-0 record, his first professional KO, and a growing fan base. 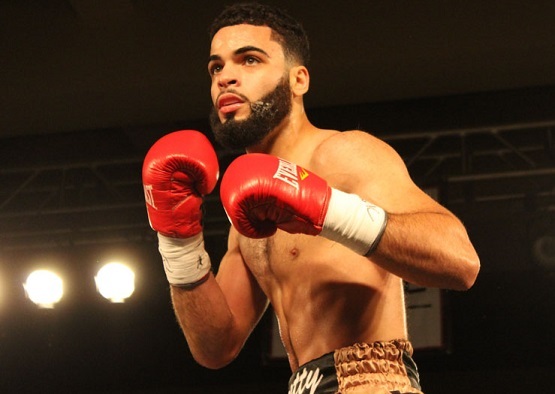 We got something a bit more tactical for the third match of the night as undefeated prospect Christian Tapia (7-0) and Darnell Pettis spent the first two rounds of their lightweight bout searching for openings. But in the third, Tapia showed his class, hammering Pettis with shots to both head and the body. Near round’s end Pettis’ mouthpiece fell out, perhaps intentionally, and he survived to hear the bell but it counted only for Pettis’ pride as the ringside physician then stopped the proceedings. From the start there was no doubt Tapia was the better fighter, and if the physician saw no purpose in Pettis taking three more minutes of punishment, that’s fine by me. I’m always happy to see a boxer’s health put before his competitive instincts. Next, super welterweight Kieran Hooks (4-1-1) came through the ropes, and as the crowd grew so did the noise for another hometown prospect. However, while the result was the night’s third opening round knockout, it went against the Philly fighter and shocked the fans into sudden silence. After some pawing and jabbing, New York’s Gledwin Ortiz landed a monster right hand to Hooks’s jaw with such force that everyone knew, before Hooks even hit the canvas, that the match was over, a fact confirmed when the ref didn’t bother to finish the count and medical personnel rushed into the ring. Ortiz jumped on the ropes and screamed, but the crowd focused only on Hooks who, to everyone’s relief, eventually walked out of the ring under his own power, and after Ortiz gave him an embrace and some words of respect. Thus ended the prelims. It was time for a break and as I checked my watch I realized I’d just seen three knockouts out of four tilts and it wasn’t even dinner time. As befits a Philadephia fight card, there had been no dreary waltzes or tedious distance fights, and now everyone had a chance to buy another beer and some nachos before the main attractions got underway. Gadwin Rosa and his team. First up was super featherweight Gadwin Rosa (9-0) who looked focused and sharp as he connected with shot after shot on veteran German Meraz (61-51-2). No, that’s not a typo; Meraz of Mexico does indeed have well over a hundred bouts to his credit, but on this night his job was to be a moving punching bag for Rosa, letting the prospect get a win but also get his rounds in. It was a routine affair until the final round when Meraz, for reasons unknown, started yelling Ric Flair-style and waving the younger man in. Rosa would then flash a glove, tag Meraz and knock him back, after which Meraz would yell again and the process repeated itself. 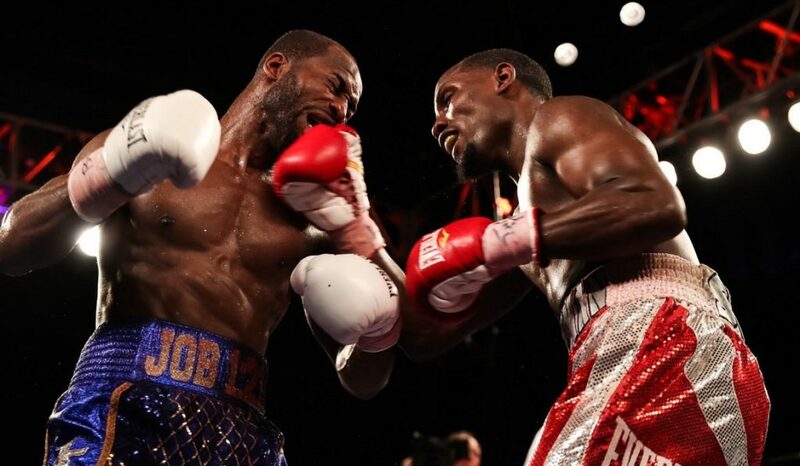 It was a bizarre sequence but it spiced things up and in the end Rosa got his rounds in, plus a unanimous decision. 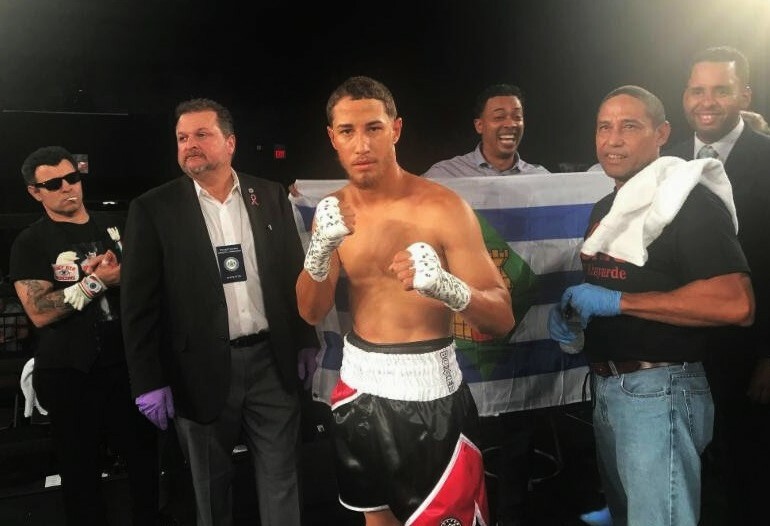 The next bout really got the arena jumping as more Philly fans had more reason to celebrate with local super lightweight prospect Branden Pizarro (13-1) getting a points win over Jerome Rodriguez. Rodriguez wore trunks that said, “Student of the Game,” and while he showed skills beyond his 7-10-3 record, what I hope he learned in those six rounds is that, as they say, you don’t play boxing, because Pizarro was on another level. When the scores were announced — 60-54, 59-55, and 59-55 for Pizarro — I wondered if two judges gave Rodriguez (7-11-3) a round just to make him feel better. Now it was time for the televised portion of the show and as Showtime set up for its broadcast the denizens of the arena mulled around to get some more drinks. And by the time everything was ready to go, it was not only the “Shobox” lights that had changed the atmosphere, as one could feel a rising tension in the arena. The fans, jammed in to the point where there was barely room for anyone to even stand, had enjoyed some lively action, but now they were ready for something more. 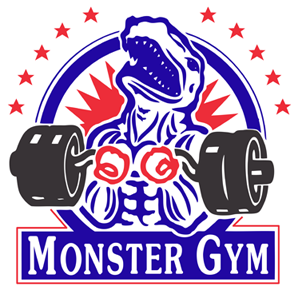 Now they were anxious to play their part, to make that crowded room a hall of dreams for a fighter if they were on his side, and a chamber of nightmares if they were not. First up was a match which proved a bizarre inverse of Rocky IV. Ukrainian super bantamweight Arnold Khegai took on Jorge Diaz, and by the time it started the local fans had taken to lightly taunting Khegai as “little Drago.” But as the fight unfolded it became clear that Diaz wanted no part of a brawl with his undefeated opponent as he continually clinched and then fell to his knees, forcing the referee to repeatedly intervene and wipe off Diaz’s gloves. By the final round both men were cut but “Little Drago” was unfazed and moving forward, wiping his face in a manner that reminded me of Bobby Chacon wiping away the blood in his epic wars with Rafael Limón and Cornelius Boza-Edwards. When the unanimous decision for Khegai was announced, the crowd erupted like he was a born and bred Philly product. Judging by the fan response, and given the fact that Khegai now calls Philadelphia home, Manny Rivera may have a hot new draw on his hands. Khegai puts Diaz on the defensive. 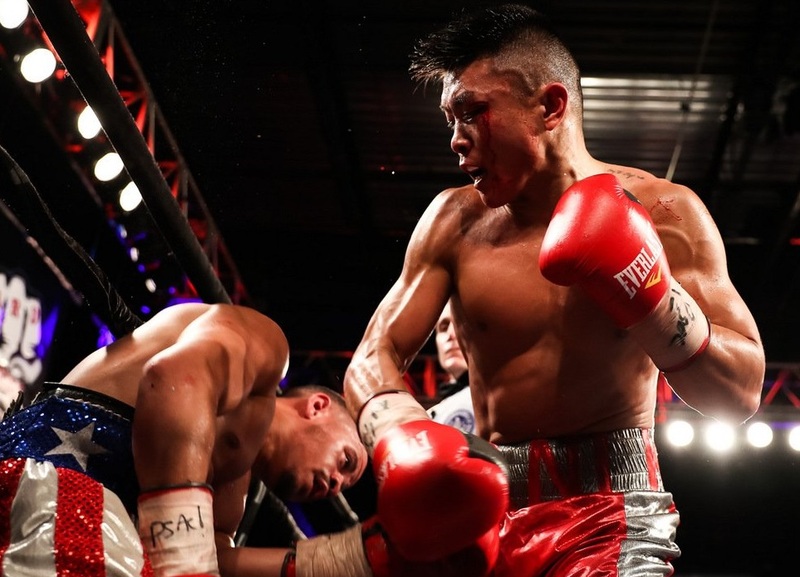 Next, Samuel Teah, a local favorite and member of the Hard Hitting Promotions stable, took on Kenneth Sims in what proved to be the most competitive fight of the whole evening. This was two 140 pounders of similar build and skill sets, both ready to swing away. Which they did, much to the crowd’s delight, for eight action-packed rounds. It was a rousing and close battle which saw both show off good skill as well as a willingness to mix it up on the inside. I had it scored four rounds a piece, but a member of the Hard Hitting team who was near press row looked distraught. “Sims won,” he said with obvious dread. “Just that kind of fight. It’s gonna go to Sims.” He kept his head down, baseball hat pulled over his eyes, as the judges read the scorecards. Then he was gone, out of press row and through the ropes, to jump and cheer with all the others in Teah’s corner — friends, family, trainers — all celebrating their man getting the close decision after a thrilling war. Next, the main event, but after all the excitement and drama of Teah vs Sims, it felt like a let down before it even got started. 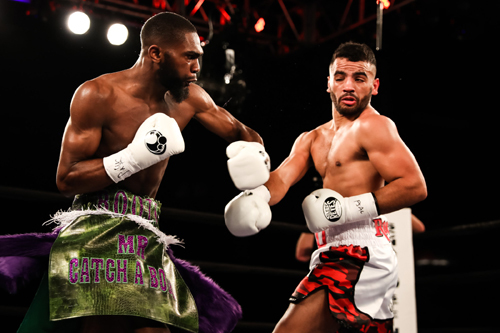 This had nothing to do with the talent on display — undefeated welterweight Jaron Ennis (22-0) is an exceptional fighter —but more because everyone knew Ray Serrano (24-6) was fodder for “Boots” Ennis, there to make him look good on TV. Combine that with all the emotion just spent, and the room definitely felt softer as the last set of fighters climbed into the ring. But if the crowd was at eleven for the penultimate fight, a notch lower was still a ten for Ennis, who took full advantage of the opportunity to showcase everything that makes him an exciting prospect. In the first round, “Boots” danced and played with Serrano, landing at will. He would have had to carry his opponent to make this one go rounds, but he did not, instead scoring three knockdowns in the second, the final sending Serrano down for the count. Personally, I thought the ref should have stopped it after the second knockdown, as Serrano was clearly in trouble and the result of the match was obvious at that point. In any case, everyone in the room was happy the bout didn’t last much longer. Ennis is ready for sterner challenges. More interesting than the win itself are the implications for Ennis. He’s 21 and already 22-0 with 20 KO’s, but he’s a welterweight, and that division is arguably boxing’s most stacked weight class, populated with Bud Crawford, Errol Spence, Keith Thurman, Shawn Porter, Danny Garcia, and an aging Manny Pacquiao, just to name a few. Ennis may need a few step-up fights, but from what he’s shown so far I’d expect him to pass almost any test put to him. But why hurry? In three years he’ll still be only 25, while many of the elite guys in the division will be on their way down. 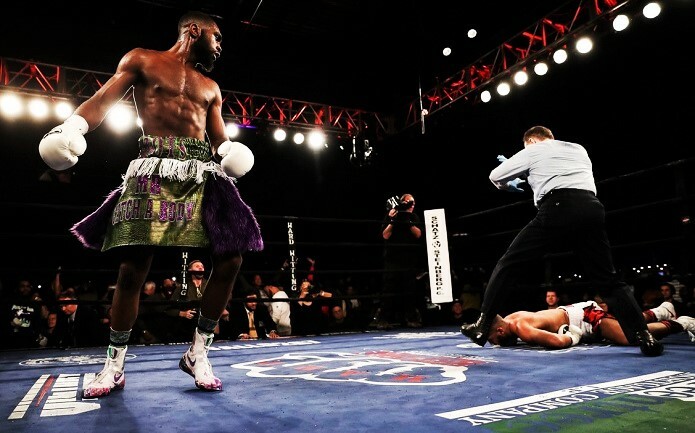 Though by that time he may have grown into the 154 pound division and be set to give someone like Jarrett Hurd, who was in attendance, some major problems.